Right after Airbnb closed their Series C funding, the company cofounders invited Peter Thiel, who had just invested $150 million in them, to their offices to ask him for his biggest piece of advice. He had one thing to say, albeit with a bit more choice wording: don’t mess up the culture. As the cofounders prepared to take their company through a period of aggressive growth, Brian Chesky wasn’t expecting to hear Peter Thiel say that culture should be their number one priority. So why did he tell them to put it front and center? When your company is growing fast, sometimes it feels like you can’t make a mistake. Revenues are rising, and the excitement of success keeps everyone working happily. Most importantly, you are also hiring to fuel that growth. Hiring during growth always feels like an urgent task, one that needed to happen yesterday. And the typical response that companies make is to cut corners to get new hires in the door faster. The problem with this approach is that it erodes your culture, but that can be very hard to see until problems develop. The magic of a small company is that strong cultures come more naturally to small groups of individuals working together closely. As your company grows, it becomes harder to keep the same shared values top of mind throughout different sub-teams. At Pomello, we work with a lot of companies that have gone through a period of growth and found that their culture was substantially weakened, causing a period of lagging performance and employee engagement right when you want your numbers to start taking off. This is where the role of predictive analytics intersects with culture management. By gathering culture data, we can walk you through the initial small team culture, a period of fast growth and culture dilution, and finally chart a path back towards a strong cohesive culture. The first thing we look at when analyzing a company culture is how strong or cohesive it is. 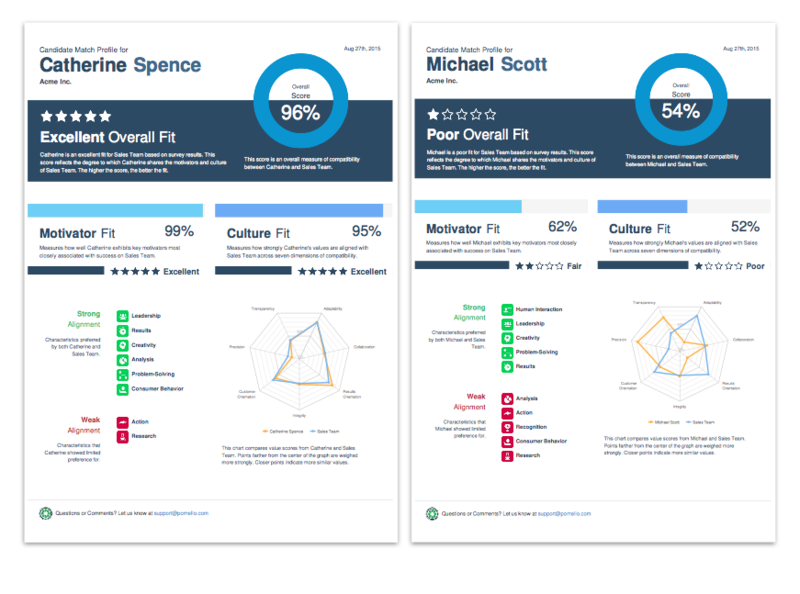 To analyze this, we look at how consistently employees report on what is valued and rewarded within their culture. This is a visual of an early-stage team culture that is very strong. The seven employees on this team share the same understanding of their core values, are likely to perform at a high level, and experience high job satisfaction. The second thing we analyze after the strength of a culture is the content of that culture. This provides us insight into what core values drive the behavior and priorities of a given team. We measure culture across seven values in all that encompass the vast majority of expressed cultural preferences. They are designed to be broad enough to apply to many organizations while still remaining distinct. A strong culture is characterized by a strong preference for two to three values. The same team that we measured as having a 91% consistency score above is visualized below highlighting their top values. This team expresses a strong preference for Adaptability, Results-Orientation, and Customer-Orientation. We’ve found amongst our early stage teams that Adaptability is a top three core value virtually 100% of the time, and is the top core value 55% of the time. What Happens When You Double in Size and Add Poor Culture Fits? Now, let’s take the same team and fast forward through a growth period where the team doubled in size to 14 people. Many companies seek to evolve their culture as they grow, but the transition can suddenly cause a dilution of the original culture. The impact of this type of growth can be extremely negative when we return to the same statistics that we measured in our starting scenario. The consistency score here has dropped to 32%, which indicates performance, turnover, and job satisfaction issues are on the horizon. In addition, when we drill down again into the core values of the culture, we see that the focus on them has been muted. Each of the seven core values is hovering around an average score of 50% without any clear indicators of preference. Individuals on this team now have very different ideas of what their priorities should be, and more importantly what is valued and rewarded. A team with this profile is much more likely to experience high turnover and low employee engagement. How do you course correct and get your culture back on track? The key to correcting the course of your company culture is a combination of strategy and hiring. On the strategy side, you must decide what values you think will best help you achieve your larger strategic goals. Early stage teams often favor Adaptability because it encourages experimentation and risk-taking that tends to pay-off as a company finds its way. In contrast, more mature teams often focus on Collaboration and Results-Orientation as a vehicle to promote consistent progress towards shared objectives. Wherever you land, your core values should align with key behaviors that you believe will help you achieve your strategic objectives. On the hiring side, given your diluted team profile, your goal should be to select a subset of your current team that represent the cultural values you wish to see embodied in your company going forward. This becomes your “target” against which you can hire additional team members. Below, we’ve provided a visual sample of a high fit candidate and a low fit candidate. The data pictured is test data meant to illustrate the a strong culture fit vs. a weak culture fit . By consistently hiring candidates who are a fit for your aspirational culture, you will start to see a steadily improving strength and consistency indicator, as well as a clearer set of core values emerge. The speed with which you see this change depends in part on the pace of your hiring, and in part on the effort you exert into communicating with your existing team. Frequent check-ins with your team explicitly discussing culture and core values will help ensure that your culture is lived everyday. Soon, you won’t even need a cultural “target” anymore. You’ll have a company that lives and breathes its values through and through. Like Peter Thiel said, culture is all too easy to mess up, and the good work your company does is far too important to be muddled by ill-defined values. Instead, get in the driver’s seat, assess what makes your current people special, and put the pedal to the metal on building your org. Company culture is a strong driver of happiness and productivity. 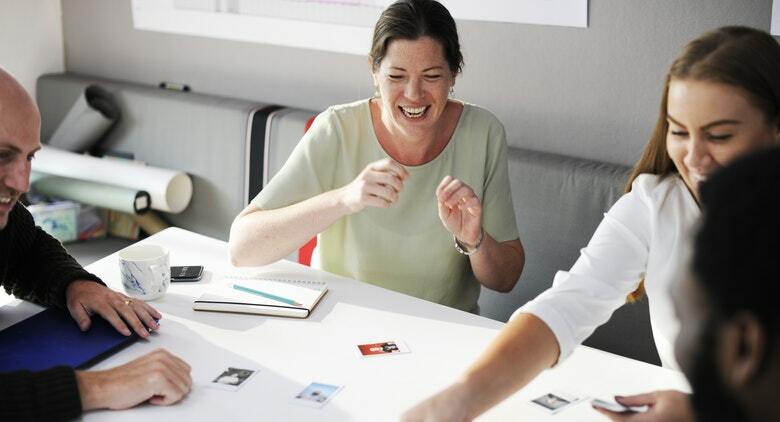 Try these 14 hacks to optimize employee engagement. 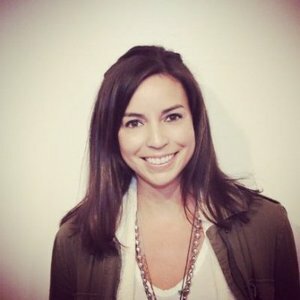 Catherine Spence is co-founder and head of product at Pomello, the data-driven applicant screening software that helps you scale your company culture. Follow Catherine and Pomello on Twitter, Facebook, and LinkedIn.